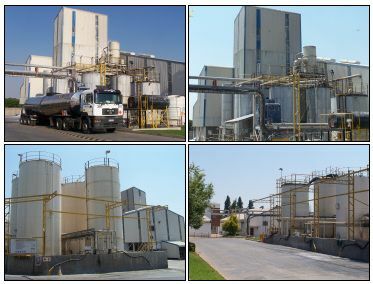 PQ Corporation is a leading producer of silicate, zeolite, and other performance materials serving the detergent, pulp and paper, chemical, petroleum, catalyst, water treatment, construction, and beverage markets. It is a global enterprise, operating in 19 countries on five continents, and along with its chemical businesses, includes Potters Industries, a wholly owned subsidiary, which is a leading producer of engineered glass materials serving the highway safety, polymer additive, metal finishing, and conductive particle markets. Don’t think Warm Mix Asphalt is only a hot mix asphalt compaction aid. Invest in a technology that is the most versatile. ADVERA® Ti is a high performance product for the partial replacement of TiO2, exclusive to PQ Corporation. PQ Corporation offers the widest variety of potassium silicate products, including liquids, spray-dry hydrous, anhydrous powders, and flake. PQ Corporation is the world’s leading producer of sodium silicate. Sodium silicate, also known as waterglass, is a versatile inorganic chemical made by combining sand and soda ash (sodium carbonate) at high temperature. PQ Corporation offers sodium silicate powders in various ratios, both anhydrous and hydrated forms.